Expectant mothers could be facing a 68-mile detour to give birth due to a shortage of midwives in Aberdeen. 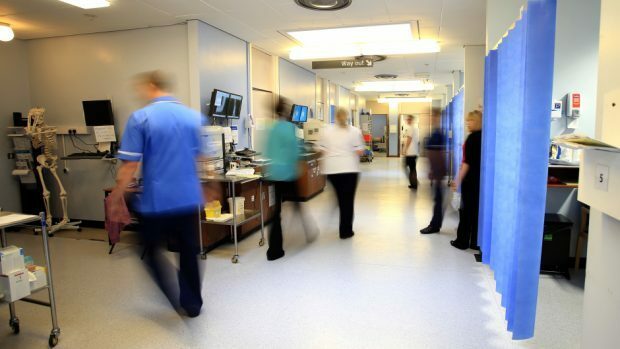 Staff from the Aberdeen Maternity Hospital (AMH) midwifery unit will be “temporarily” brought together within the labour ward from Monday due to a lack of staff. The department is currently short by 20.8 full-time equivalent posts, with the deficit being blamed on a combination of vacancies, maternity leave, secondments and long-term sickness. NHS Grampian has identified 22 Robert Gordon University graduates to take up these positions but some may not begin work until October. In the interim, existing staff have been taking on additional hour – described as “working flexibly” – while bosses have also had to fall back on bank staff. In a statement released by the health board last night, a spokesman wrote that bringing together the two units would “maximise the workforce in one area” to offer pregnant women a higher level of care. He added: “All appropriate measures to maintain the full range of safe services have been explored and implemented where possible until the new graduates are in post. The move means the city’s birthing pool, which is located within the Aberdeen midwifery unit, could be inaccessible for some expectant mothers. Those wanting to have a water birth could have to travel to facilities in Peterhead or Elgin instead. Interim chief midwife Jane Raitt said: “Women can be assured that their birth plan will be maintained. “Midwife-led care and all choices, will still be provided. “If any woman wishes to use the pool in AMH she should discuss this on admission and if staffing and workload at that time is satisfactory her request will be supported. Professor Jamie Weir from the Patient Action Coordination Team said: “The safety of the mother and baby is paramount and we strongly support that. “However it would appear that inevitably some birth plans will be compromised because of staff shortages, for example the use of the birth pool. “Although this may be disappointing for some mothers, the wellbeing of both mother and baby is the primary concern to all.